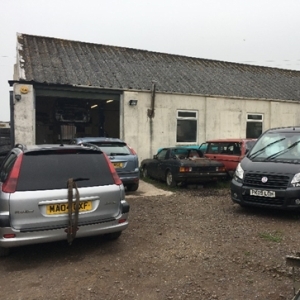 West Dorset District Council: Pure Town Planning have recently secured retrospective planning permission for the change of use of an industrial building to a used parts retailer, motor vehicle repairs facility and breakers yard. The site, which is operated by Dorset-based company, JMC Auto Salvage, is situated within the Enterprise Park which is situated approximately 1 mile to the south of Piddlehinton on the B3143, near Dorchester. The Enterprise Park is designated as a key employment site within the Local Plan and therefore local policy advises B1 (light industrial), B2 (general industrial), B8 (storage and distribution) and other similar uses will be permitted subject to proposals not having a significant adverse impact on surrounding land uses. To support this application, we prepared a comprehensive supporting planning statement which set out the merits of the proposal in a clear and concise manner, whilst making it clear that the development was in accordance within adopted planning policies that support economic growth within key employment sites. Upon considering the application and supporting documents, the Council agreed with our conclusions and moved to grant planning permission for the change of use. If you have a commercial premises and would like to pursue a change of use application, or any other commercially-related planning application for that matter such as; increasing opening hours, new shopfronts, new signage, canopies etc. then why not call Pure Town Planning on 01202 585524 or email info@puretownplanning.co.uk for a FREE 30 minute consultation on how we can help you.